New Jersey’s town center microgrids are poised to enter their next stage, enhanced by a series of state strategies to catalyze distributed energy. Selected for funding last year, the 13 town center microgrid proposals are now in the final stages of producing feasibility studies. “I’d expect we’ll begin to see the results in five or six weeks, and the first tenders to carry out the next stage of project development — building the distribution systems — by January next year,” said Adam Zellner, president of consulting firm Greener by Design, which is closely involved with six of the projects. Meanwhile, Gov. Phil Murphy signed an executive order May 23 that updates the state’s energy master plan and sets a 100 percent-by-2050 clean energy goal, a move likely to spur additional microgrid development. Furthermore, a new renewable energy law establishes new or more ambitious targets for energy efficiency, offshore wind and distributed solar energy in New Jersey — including permitting the creation of community solar programs. 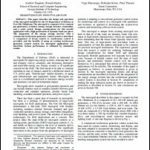 Of particular significance for microgrids, the new law calls for deployment of 600 MW of energy storage capacity statewide by 2021 and 2,000 MW by 2030. The Board of Public Utilities (BPU) is required to conduct a study on energy storage within the next year. Upon completion, it will implement programs to achieve the requirements. The town center microgrid grant recipients were given a year to conduct their feasibility reports and submit them to the state, according to Peter Peretzman, BPU spokesman. The contracts were initially distributed to the applicants in June 2017. However, most contracts were not finalized by the applicants until later in the year when they procured contractors. The BPU anticipates receiving project reports over the next two quarters. “We will evaluate those reports when we receive them and then the board will determine the appropriate next steps for phase two,” Peretzman said. The BPU last year awarded more than double the dollar value of grants — $2.05 million — it originally intended to help fund feasibility studies by public utilities looking to carry out town center microgrid feasibility studies. New Jersey regulators then began conducting a series of publicly announced visits to the towns a couple of months after the awards were announced. Akin to community microgrid programs in New York and Connecticut, the town center microgrids use public-private partnerships and focus on energy resiliency and reliability. New Jersey’s approach focuses to a greater degree, however, on the day-to-day, operational and grid services community microgrids can provide, according to Zellner. 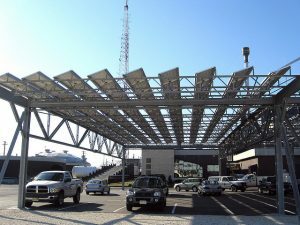 “New Jersey’s approach is much more focused on how to implement community microgrids as compared to those being taken in New York and Connecticut, which are more focused on design and planning,” he said. Perhaps most significantly, New York focuses on microgrids for disaster and emergency response to a greater degree than New Jersey. Such microgrids are a tougher sell when it comes to justifying the capital investment, Zellner pointed out. In essence, backers are being asked to support projects that, with luck, will never be used, yet still need to be kept in working order just in case — a counter-intuitive proposition. The way state government and the BPU partners with utilities also distinguishes New Jersey’s community microgrid plan from others, Zellner added. BPU now requires project developers and utilities to produce and make use of circuit mapping data in order to site microgrids so that they can enhance grid power, for example. In addition, local officials are now considering energy assets and services in land use planning and development, such as zoning regulations, road repaving and construction projects. Local data is sent to the state, which improves coordination, planning and decision-making statewide, according to Zellner. Battery energy storage is a core facet of all 13 town center microgrids. “Battery energy storage is definitely a critical component, and for a number of reasons. First of all, there’s now programmatic [government] support for it. In addition, it’s a ‘go-forward’ investment — the technology has gotten and will continue to get better — higher storage capacity, higher performance and declining cost,” Zellner said. He added that energy security is a big piece of the equation as well. “Weaving in the improvements to energy quality that battery-based energy storage adds to the value the town center microgrids are expected to deliver. That encompasses the ability to respond much faster — and with much higher efficiency — to fluctuations in utility grid demand and supply, particularly as more variable, or intermittent, solar and wind power capacity comes online,” he said. He added that microgrids are able to do so within a small physical footprint, which reduces negative environmental impacts of infrastructure. The 13 communities also are conducting energy reviews and audits to identify cost-effective energy conservation measures, such as energy efficient lighting and heating, cooling and ventilation. The inclusive, comprehensive approach to energy that’s being implemented in New Jersey will bear fruit for this and future generations, Zellner believes. Track news about New Jersey’s town center microgrids. Subscribe to the free Microgrid Knowledge newsletter. I’m in complete agreement with a lot of the information in the following paragraphs. You certainly are a special article writer have real profit put your own views directly into apparent phrases. Anyone will be able to understand why. Many facility operators need increased resiliency, efficiently, and sustainability. Distributed Energy Resources (DERs) like wind, PV and energy storage can address these needs. Yet also introduce many other challenges. 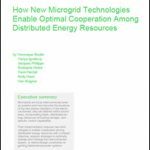 To learn how microgrids can help you optimize the integration of these assets, download this white paper.